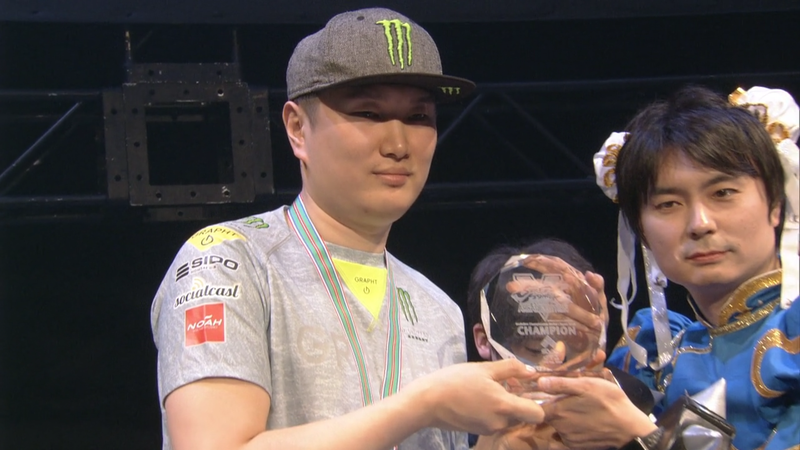 Seon-woo “Infiltration” Lee, a prominent South Korean Street Fighter V player with five Evolution Championship Series titles and countless tournament wins on his resume, will not be competing at this weekend’s Capcom Pro Tour premier event at Tokyo Game Show. His team, Panda Global, announced the decision today as they investigate claims that Infiltration abused his ex-wife before their divorce. Infiltration first caught attention in the fighting game community with a surprise third-place finish at Evo 2010. Since then, he has become a household name among fighting game fans, dominating competition in games like Street Fighter IV, Street Fighter x Tekken, and most recently Street Fighter V. His tournament wins were soon followed by sponsorship deals and team signings; organizations like Mad Catz, Razer, and Grapht have supported him before he settled into his new home at Panda Global earlier this year. As part of this week’s ongoing Tokyo Game Show festivities, players from across the world have traveled to Japan to take part in the country’s Capcom Pro Tour premier event in hopes of earning ranking points towards a spot in the Capcom Cup bracket later this year. Despite already having enough points to qualify, Infiltration was among that number. This past Tuesday night, however, a Reddit user claimed that the South Korean competitor had abused his spouse in September 2017. The couple had divorced later that year. The allegations were posted to r/LivestreamFail in response to a video featuring Infiltration. “Infiltration is a criminal who beat his ex-wife last year,” the pseudonymous “criminal-seonwoo-lee” claimed, then launched into a series of further allegations that included physical violence, destruction of property, and an eventual arrest. The account also included purported transcripts of audio recorded by Infiltration’s ex-wife, which, according to third-party translations, describes choking and a variety of threats both on her life and physical well-being. The anonymous source also provided case numbers for two supposed claims involving Infiltration; Kotaku has not been able to independently verify this information. News of the allegations quickly spread through the fighting game community on social media, with many condemning Infiltration and some even calling for his immediate removal from competition. Early Thursday, Panda Global tweeted that they were taking the claims against their player seriously and launching a “thorough investigation,” after which they would “take appropriate action,” if “the claims are substantiated.” Today the team posted a follow-up statement saying that Infiltration would not compete at Tokyo Game Show this weekend. Infiltration has not yet responded to Kotaku’s request for comment. He has not addressed the matter on social media since the allegations began to circulate this week, instead posting almost exclusively about his visit to Japan.